Lift a load of 250 lbs. 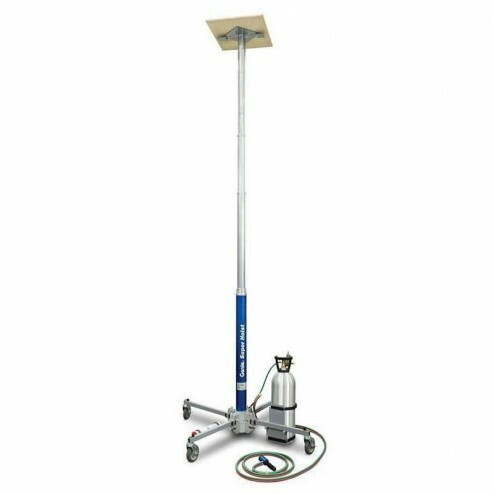 to a maximum height of 18" 4.5" with this pneumatic portable telescoping hoist powered by CO2 or compressed air. The Genie GH-5.6 Super Hoist Material Lift easily sets up without the use of tools. 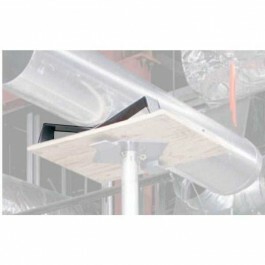 Ideal for lifting, positioning and installing a wide variety of materials. 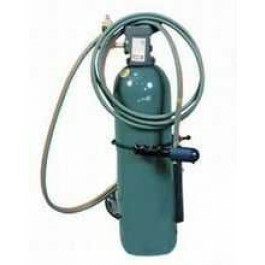 Power: Compressed Air - CO2. Bottle-mounting bracket fits any size CO2 bottle size. Pistol grip control handle allows users to perform up and down functions. Hose conveniently stretches to 16" for ease of mobility. So compact and lightweight that just one person can operate. Features a one piece platform that is easily attached to the cylinder with a twist of the wrist. Cylinder is equipped with an auto-lubricating oil reservoir on top of each piston. Equipped with wheel brakes and easy-to-release leg locks. Will fit in the truck of most cars.